Within the Patagonian distribution of the species, a distinct stock is described from the Chilean coast down to the southern tip of the continent (IFOP 2018) . As only a small portion of its distribution lies within the Argentinian EEZ, the stock is managed and assessed by Chile. This is a discrete population with clear boundaries that mostly don’t go outside of the Chilean jurisdiction, which facilitates the management of this fishery. There is a management plan in place since 2016 with clear management objectives. There is a plan for the reduction of discards and bycatch in place since 2017, and good information on bycatch levels especially in the industrial fisheries. There is a seasonal fishing ban in August every year. The resource is officially recognized as overexploited. Illegal and unreported fishing is officially recognized as a real problem for the stock by Subpesca (Subsecretary of Fisheries), the Management Authority.. Fishing mortality rates have been above the recommended FMSY. There is no detailed information on the impact of the fishing gears used to harvest southern hake on bottom habitats, although it is supposed to be low. Engage with authorities in prompt implementation of the approved management plan for the fishery. Ensure adequate reporting of catches (landing and discards) and bycatch, especially from the artisanal fleet operating in the fishery. Improve the regulatory compliance of the fishery to eliminate all IUU fishing, especially unreported landings by the artisanal fleet. The IFOP is in charge, since 1992, of monitoring and evaluating this and other fisheries in Chile, including stock assessment and evaluation of advised quotas. Advice is provided through reports produced by the CCT-RDZSA (Scientific and Technical Committee for the Demersal Resources Zone South and Austral), which bases the decisions and advice on the stock assessment reports elaborated annually by IFOP and the management plan. The advised quota taking into account discards for 2018 was 16,334-20,418 tons for the fishery unit (which is itself divided in two areas, one north - between 41° 28,6’S and 47°S - and one south -between 47°S and 57°S- and each of those divided into an inshore and an offshore area), but given the overexploited status of the resource, CCT-RDZSA suggested to adopt the lower end of the range. Outside the fishery unit (north to 41° 28,6’S) , the advised range was 86.4-108 tons (with no advice on adopting the lower or upper end of the range) (CCT-RDZSA 2017) . The decision on quotas was based on the implementation of the decision rule regarding F as stated in the management plan, so that F=FMSY when SSB/SSB0>0.2, as currently is the case (SSB/SSB0=0.31). However, the CCT-RDZSA argued that applying such a rule may be insufficient when the stock is considered over-exploited (i.e. SSB/SSB0 is between 0.2 and 0.4), and under these circumstances, the CT-RDZSA suggested that F should be smaller than FMSY (CCT-RDZSA 2017) . FMSY as estimated in the last stock assessment was 0.26 yr-1 whereas SSBMSY was set at 167,456 tons (IFOP 2018) . Southern hake was considered overexploited in the last stock assessment conducted in 2017 (IFOP 2018) . Spawning biomass as estimated from stock assessment models was 125,000 tons which represents 31% of virginal spawning biomass levels. This is considerably lower than the target reference point (SSBMSY=40%SSB0=167,456 tons). Fishing mortality levels in 2016 were 0.36 yr-1, i.e. above the F target reference point (FMSY=0.26). According to the last acoustic survey, biomass in the spawning area in 2017 was 96,082 tons, which is the highest value since 2001 and 43% higher than estimated biomass in 2016 (CCT-RDZSA 2017) . Abundance was estimated as 33,988,081 individuals (32% males; 68% females), which is 54.4% higher than the previous year (CCT-RDZSA 2017) . In absolute terms, IFOP reported an average discard of 5500 tons/yr during 2000-2016 in the trawler component of the industrial fishery and 1300 tons/year during 2000-2016 in the artisanal long-line fishery (IFOP 2018) . The industrial fraction can only operate with trawls or longlines. Artisanal fishers can only operate with longlines with a maximum hook size of 18mm. No new licenses are granted (Subpesca 2014) . Other current management regulations include a closed fishing season in August every year (Subpesca 1996) , a minimum mesh size of 130 mm in trawls nets and a minimum catch size of 60 cm (Subpesca 1990) . A plan for the reduction of discards (Subpesca 2017) and bycatch is in place since 2017 (Subpesca 2017) . The plan established the prohibition of discarding except under the conditions stated in article 7B of the General Law of Fisheries and Aquaculture (Subpesca 2014) . More specific measures contained in the plan are described under the Bycatch - other species section. A quota of 108 tons was set for southern hake out of its fishery unit. Quotas are sometimes transferred between the artisanal and the industrial sector and within the artisanal sector (CCT-RDZSA 2017) . Resulting effective quotas for 2018 were 13,988 tons for the industrial sector and 6290 tons for the artisanal sector (Subpesca 2019) . In recent years, landings have been around the level of catch quotas set by managers. However, illegal fishing and lack of compliance with current management measures have been flagged as relevant problems for the fishery for southern hake in Chile (Subpesca 2016) . A plan for the reduction of bycatch and discards was approved in 2017. The plan was based on a study on the bycatch and discards conducted during 2015 and 2016 made by scientific observers (Bernal et al. 2017) . Results on bycatch of ETP species composition are provided separately for each component of the fishery. Chile is a member of the Agreement for the Conservation of Albatrosses and Petrels and as such it is committed to achieve and maintain a favorable conservation status of albatrosses and petrels. The list of species to which the agreement applies includes 22 species of albatross and 9 species of petrels (ACAP 2018) . Review permitted bycatch percentage of the roughskin skate Dipturus trachyderma and large-nose ray Zearaja chilensis during the fishing ban of these species. Release alive all chondrichthyes especially when they have chances to survive. In 2008, the National plan to reduce the bycatch of seabirds in longline fisheries (in Spanish) was approved by the Ministry of Economy, Development and Reconstruction (Subpesca 2007) . Some of the measures established in the Plan specifically designed for this fishery are: nocturnal deployment of fishing gears, use of long bird-scaring lines, reduce the presence of lights in the rear of the vessel so birds are not attracted and throw away fishing debris from the opposite side of the boat where fishing gears are hauled. A plan for the reduction of discards and bycatch in the fishery of southern hake and pink cusk-eel was approved in 2017 (Subpesca 2017) . The elaboration of the plan stems from the Law of Discards (MEFT 2012) which, among other actions and objectives promoted research on historic levels of discards and bycatch that could serve as a basis for new research programs on the topic and ultimately plans for the reduction of bycatch and discards for the most important fisheries in Chile. 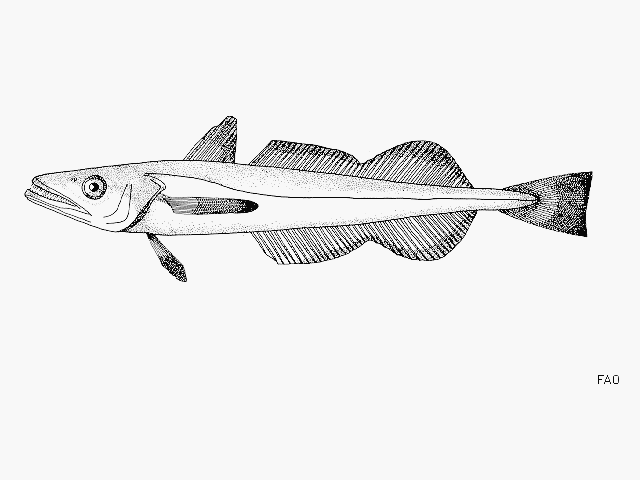 In the case of southern hake, the plan for the reduction of discards and bycatch (the "plan") was based on a research program for these fisheries conducted during 2015 and 2016 made by scientific observers (Bernal et al. 2017) . Results on bycatch species composition are provided separately for each component of the fishery. The plan established a variety of management measures with the general objective of reducing bycatch and discards levels. Management measures are provided separately for 1) target species, 2) species subject to annual catch quota, fishing bans, minimum size or other management measures, 3) species subject to no regulation and 4) incidental catch (defined by Subpesca as marine mammals, reptiles and seabirds). For each of these groups of species, measures are established at five different levels. These are some of the most meaningful measures established by the plan at each level. Measures are common to any type of bycatch species (with regulations, without regulations and incidental catch) and for the industrial and artisanal fleets. Administrative and conservation level: no discard of any bycatch species is allowed except under the conditions established in article 7B of the General Law of Fisheries and Aquaculture (Subpesca, 2017). These conditions do not apply in the case of incidental catch (marine mammals, seabirds and reptiles) which should be always released back to the sea except if they are severely damaged. Any allowed discard must be recorded and imputed to the catch quota if applicable. Evaluation of the Plan: mandatory presence of onboard observers and image recording devices to detect and record any discard action (for all industrial vessels and artisanal vessels >15 m). Dissemination and education measures: training of observers and vessels crew in the identification of bycatch species. Best practices: help onboard observers, avoid and inform rest of the fleet about sensitive areas with high proportion of bycatch species. Technological improvements in fishing gears: assess and improve current fishing gears and escapement devices. The measures in the Plan are to be implemented gradually from the second semester of 2017 until 2020. There are some other important measures directed specifically at incidental catch which are discussed under the Bycatch: ETP species section as most ETP species belong to the group of “incidental catch”. Note however that the relationship is not 1:1 and there is incidental catch which are not ETP species (e.g. South Atlantic sea lion), and ETP species which are not incidental catch (e.g. the roughskin skate Dipturus trachyderma). An exhaustive review of previous works addressing many aspects of the bottom habitats of the Chilean continental shelf. A list of descriptors of the abiotic and biotic characteristics of the seabed. A characterization of the seabed using the descriptors described in the Report. Maps with bathymetry, salinity, oxygen and bottom habitats. Maps with granulometry and organic matter content. Information on the presence of corals at each sampling station. Information on the presence of fish and macrobenthos at each sampling station. Description of the bentho-demersal community including predator-prey relationships and and ecotrophic model. However this report didn’t include the XI and XII regions which are important areas for the fishery of southern hake. Information for those regions still exists but it is more incomplete and scattered. In Chile, there are five marine reserves (only two in the area where this fishery operates): La Rinconada in Region II, Isla Chañaral in Region III, Isla Choros-Damas in Region IV, Putemún and Pullinque in Region X. The main objective of these reserves is to conserve natural banks of northern scallop Argopecten purpuratus, Chilean oyster Tiostrea chilensis and giant mussel Choromytilus chorus among others and also to protect aquatic vertebrates such as dolphins and penguins (Ministerio del Medio Ambiente (MMA) 2008) , spawning areas and productive zones. Additionally, five Marine Parks (only one in the areas where this fishery operates) are declared in order to protect units of ecological interest, and associated diversity and habitats (SERNAPESCA, 2018). Fishing activities inside Marine Reserves and Parks are strictly regulated (Subpesca 2004) . Also, since the enactment of the General Law on Fisheries and Aquaculture in 1991 (Subpesca 2014) , a Reserve Zone for Artisanal Fishing has been established by law. It extends over 5 nautical miles measured from the coast from Region I to 41º28,6’S (located in the first third of Region X) and from south of 41°28,6’ up to 5 nm west of the straight baselines. This regulation is also in force around the oceanic islands and in inland waters. This measure, besides justifying the development and promotion of the artisanal fishing activity, prevents the industrial fleet from entering the coastal zone to carry out extractive fishing operations. It has also become a conservation measure for the bulk of fishery resources that spawn near the coast and inland waters. The modified version of the General Law for Fisheries and Aquaculture (SUBPESCA 2017) includes a definition of Vulnerable Marine Ecosystems (seamounts, hydrothermal vents, cold water corals, submarine canyons). There is a fishing ban in August every year (Subpesca 1996) . A number of studies described the ecosystem and trophic relationship of the bentho-demersal community of southern Chile, some of them using ECOPATH models (Jurado-Molina et al. 2016) (Payá 1992) (Rada and Patricia 2018) . The southern hake exhibits a key trophic role in the bentho-demersal ecosystem of southern Chile and predation on blue grenadier (hoki) and southern blue whiting drives the main trophic interactions in the ecosystem (Jurado-Molina et al. 2016) . Therefore removal of Southern hake is likely to have profound consequences by affecting the whole ecosystem structure. At present the management of southern hake (through the management plan) is not following an ecosystem approach. Actually, the need for such an approach is highlighted in the management plan as a future need that will complement the current management measures (Jurado-Molina et al. 2016) (Subpesca 2016) . The recently approved Bycatch Reduction Plan may help to protect the whole bentho-demersal ecosystem as this fishery is characterized by its high bycatch (Rada and Patricia 2018) (Subpesca 2017) . A management plan was implemented in 2016 (Subpesca, 2016) and it established a reduction of 50% in Ftrp when SSB is less than 10% of SSB0, but only a reduction of 20% when SSB is between 10% and 20% of SSB0. Several management measures are in place to control catch and effort: annual catch limits, minimum landing sizes, gear restrictions, and closed seasons (Subpesca, 2016). This measures the Set TAC as a percentage of the Average advised catch. The Set TAC is 20.3 ('000 t). The Average advised catch is 16.3 ('000 t) . The underlying Set TAC/Average advised catch for this index is 124%. Total catches (industrial + artisanal sector) have been below the total set TACs in recent years. A recent study suggests that discards levels are being reduced (Beltrán et al., 2016) representing now <5% in the trawl fishery (which is the one with more discards). Illegal and unreported fishing however is explicitly recognized as one of the main problems of this resource in the Management Plan (Subpesca, 2016). As calculated for 2016 data. This measures the SSB as a percentage of the 40%B0. The SSB is 125 ('000 t). The 40%B0 is 167 ('000 t) . The underlying SSB/40%B0 for this index is 74.6%. The F is 0.360 . The F management target is 0.260 . The underlying F/F management target for this index is 138%. There is a harvest control rule that anticipates reducing the target Fishing mortality if biomass drops to the limit reference point but we ignore if such reference points are precautionary, and there is no scientific target, so the score on management precaution was determined qualitatively. Information on landings, current values of the target and limit reference points, and current SSB and F were obtained from (IFOP 2018). Advised and set TACs refer to the combined TAC for inside (major fraction) and outside the fishery units of the Chilean Southern hake. The 2016 TAC for these two fractions was set at 16,219 t and 108 t, respectively (MEFT 2015b, 2016). The Scientific and Technical Committee recommended a combined Acceptable Biological Catch between 16,334-20,418 tons in 2018 with a preference for the lower end of the range. Even though total catches (industrial + artisanal sector) have been below the total set TACs in recent years, a recent study suggests discards may be considerable in this fishery (Bernal et al. 2017) and illegal fishing has been recognized as one of the main problems of this resource. The score on fishers' compliance was thus determined qualitatively. Aguayo, M. y A. Zuleta. 1989. Captura total permisible del recurso merluza del sur, aguas exteriores 1989. IFOP – SUBPESCA (Informe restringido). Aguayo, M., Z. Young, R. Bustos, V. Ojeda, T. Peñailillo, R. Gili, C. Vera, H. Robotham. 1986. Diagnóstico de las principales pesquerías nacionales demersales (peces) zona sur austral 1985. Estado de situación del recurso. Corporación de Fomento de la Producción (AP 86/55). Instituto de Fomento Pesquero. Chile, 143 p.
Aguayo, M. 1995. Biology and fisheries of chilean hakes, fisheries, ecology and markets. J. Alheit and T. Pitcher (Ed.). Chapman & may, London. 305-337. Aguayo, M., I. Payá, R. Céspedes, H. Miranda, V. Cataste, S. Lillo, P. Galvéz, L. Adarme, F. Balbontín, R. Bravo. 2001. Dinámica reproductiva de merluza del sur y congrio dorado. FIP 99-15. 114 pp+ tablas y figuras. Avilés, S., y M, Aguayo. 1979. Merluza española. En: bases para un desarrollo pesquero. Peces. Estado actual de las principales pesquerías nacionales. CORFO. IFOP (AP 79-18), 29, p.
Balbontín, F. y R. Bravo. 1993. Fecundidad, talla de la primera madurez sexual y datos biométricos en la merluza del sur (Merluccius australis). Rev. Mar.28:111-132. Céspedes, R., L. Adasme, L. Chong, V. Ojeda, L. Muñoz, H. Hidalgo, R. Bravo, L. Cid, K. Hunt. 2008. Investigación situación pesquera demersal austral, 2007. Informe Final. Subsecretaria de Pesca – IFOP. 255 pp + anexos. Céspedes, R., L. Adasme, H. Reyes, M. Braun, E. Figueroa, V. Valenzuela, V. Ojeda y R. Roa. 1996. Identificación de las áreas de reclutamiento de merluza del sur en la XII región. Informe final. FIP 94-24. Lillo, S., V. Ojeda, R. Céspedes, F. Balbontín, J. Donoso y J. Osses. 1996. Evaluación directa del stock desovante de merluza del sur en la zona sur austral. Informe final. FIP 96-38. Ojeda, V. y M. Aguayo. 1986. Edad y crecimiento en merluza del sur (Merluccius australis) (Gadiformes, merlucciidae). Inv. Pesq. (Chile). 33:47-59. Ojeda, V., T. Peñailillo y M. Aguayo. 1986. Estimación de la tasa instantánea de mortalidad natural de algunas especies demersales explotadas en la zona sur austral de Chile (Merluccius australis, Macruronus magellanicus y Genypterus blacodes). La Pesca en Chile. Esc. de Ciencias del Mar, Univ. Cat. de Valparaíso. Rubilar, P., R. Céspedes, V. Ojeda, L. Adasme, A. Cuevas, F. Cerna y G. Ojeda. 2000. Análisis de la estructura y condición biológica de los recursos merluza del sur y congrio dorado en aguas interiores de la X, XI y XII regiones. Informe final. FIP 98-02. SUBPESCA. 2007. Informe Técnico (R.Pesq.) N° 094-2007. Cuota Global Anual de Capturas de Merluza del sur (Merluccius australis), Año 2008. Valparaíso, Noviembre de 2007.